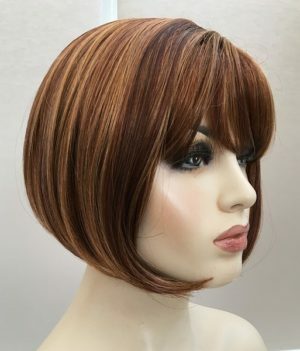 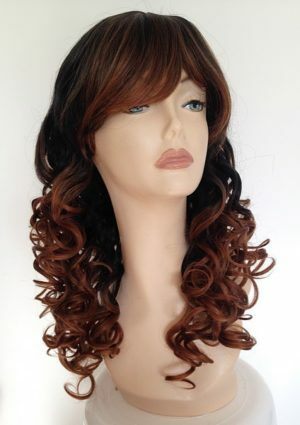 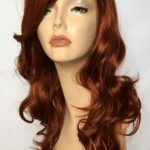 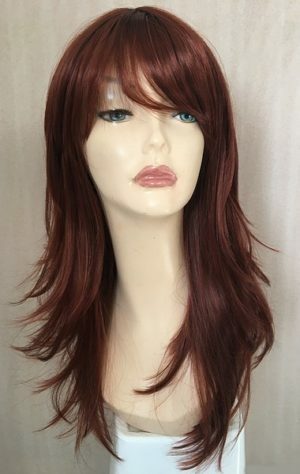 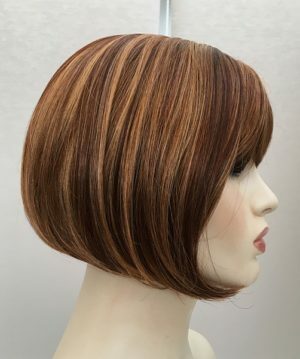 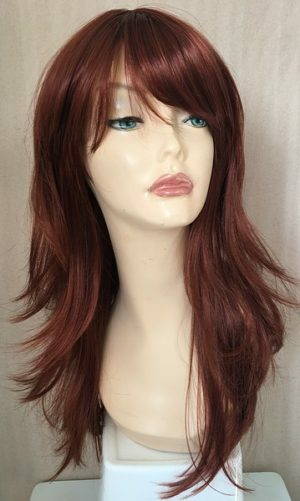 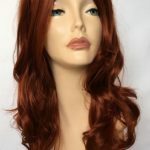 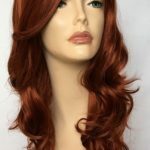 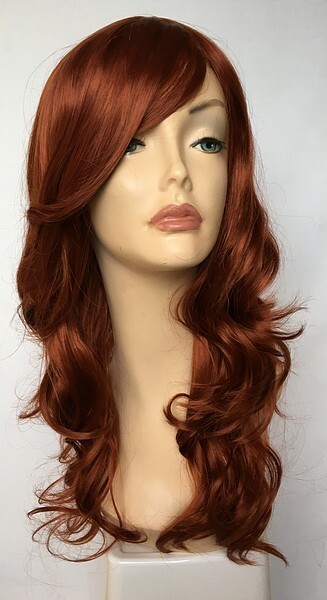 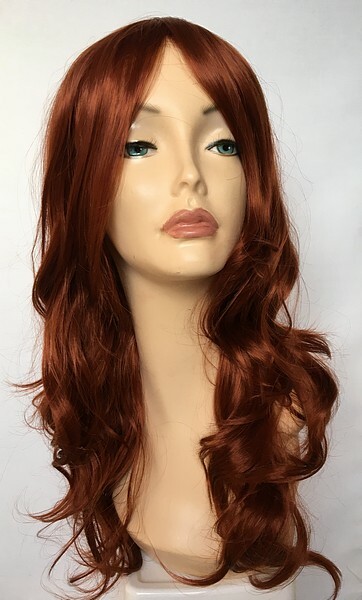 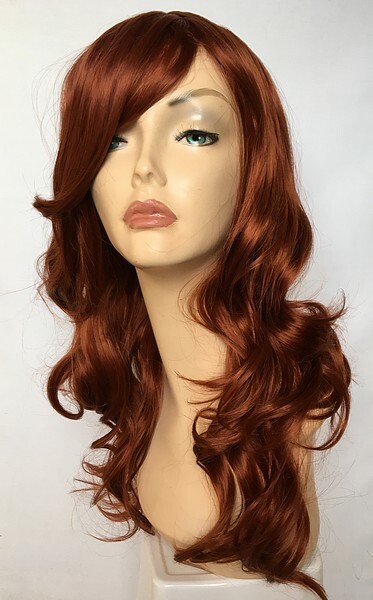 Another stunning wig this modern ladies stylish soft curl wig has a fabulous vibrant copper red colour shade, made from high quality synthetic fibre and skin parting with longer fringe detail. 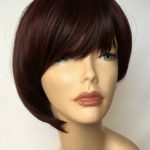 Follow us on Facebook, Instagram and Twitter to keep up to date with new wig styles, competitions and special offers. 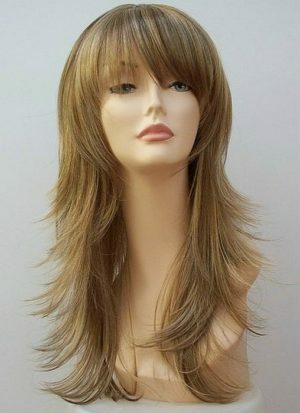 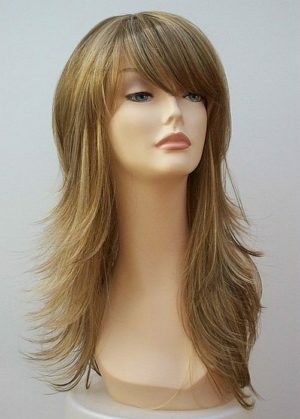 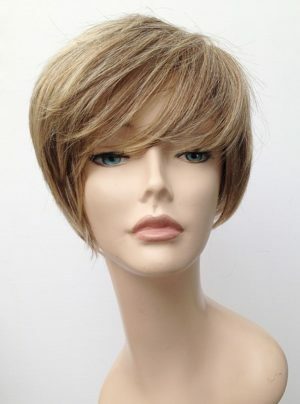 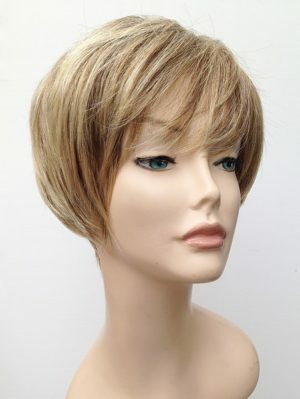 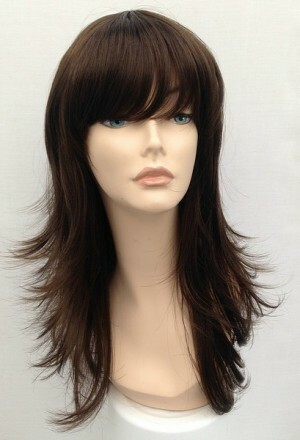 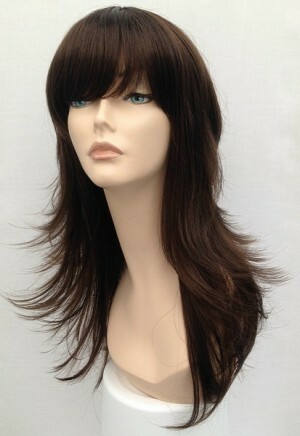 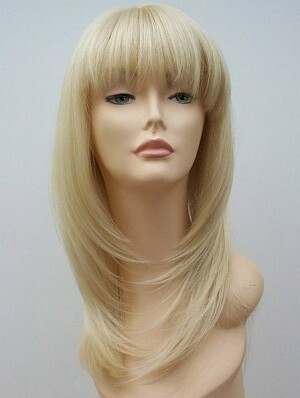 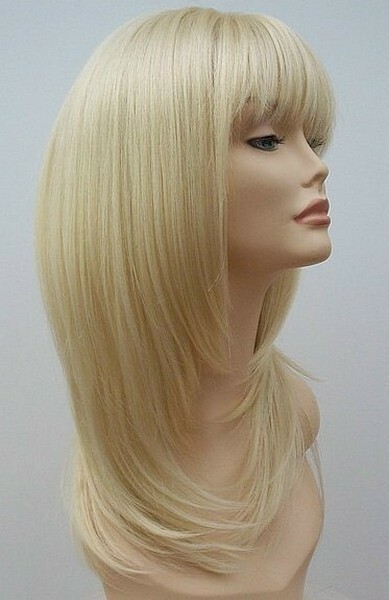 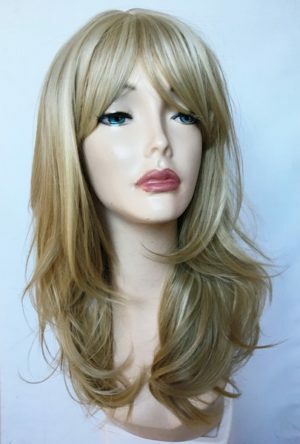 Wig Store UK for fabulous fashion wigs. 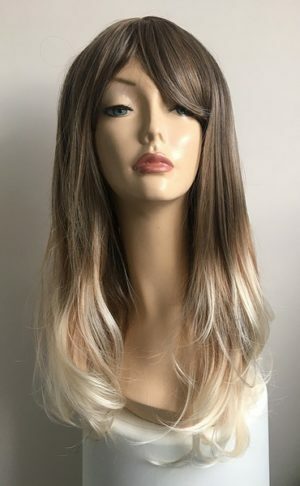 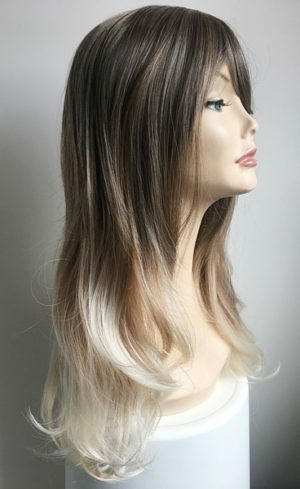 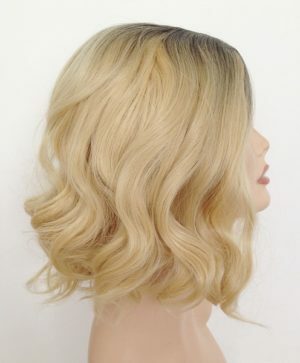 Ombre style ladies wig Georgia. 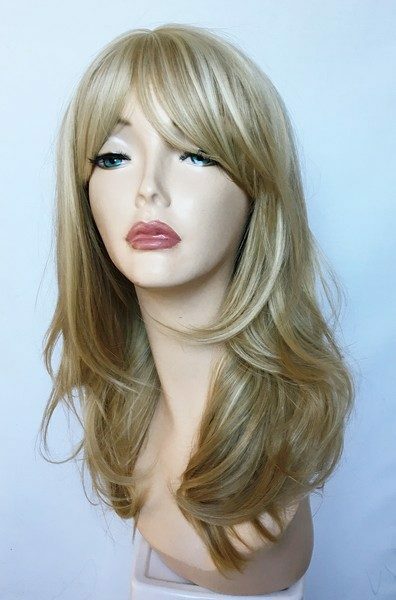 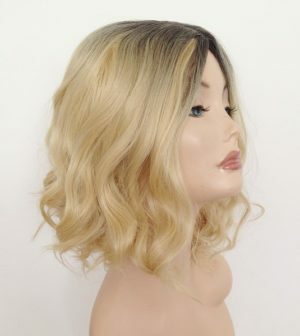 Modern ladies long wig, fantastic colour blends from ash brown tones through to lightest blonde tips, soft wave styling, fringe and skin top parting.